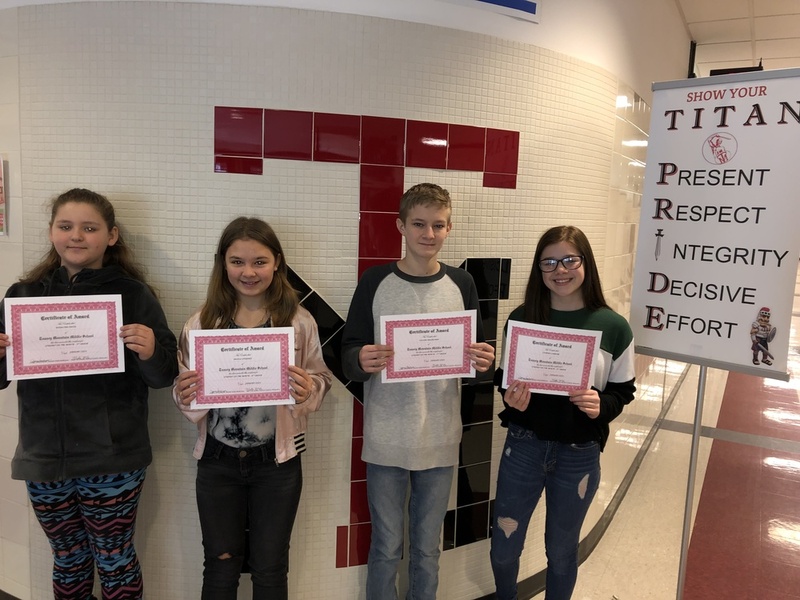 The following students from Tussey Mountain Middle School have been nominated by the faculty and staff as January’s Student of the Month. Students are nominated for positive contributions to the school, personal improvements, and accomplishments. From left to right: Rosalynn Davis is in 5th grade and is the daughter of Robert Davis and Jamie Grimes of Saxton; Shayla Steward is in 6th grade and is the daughter of Lori Steward of Broad Top; Colson Musselman is in 7th grade and is the son of Shawn Musselman of Hopewell and Dawn Blair of Saxton; Camden Carrow is in 8th grade and is the daughter of William Carrow and Brandy Bell of Saxton.